"I'm a failure", "I'm not good enough", "I'm all alone" and "No one will ever love me". Sounds familiar? I bet we all believed at least one of those things about ourselves at some point in our lives. They are all negative core belief examples. 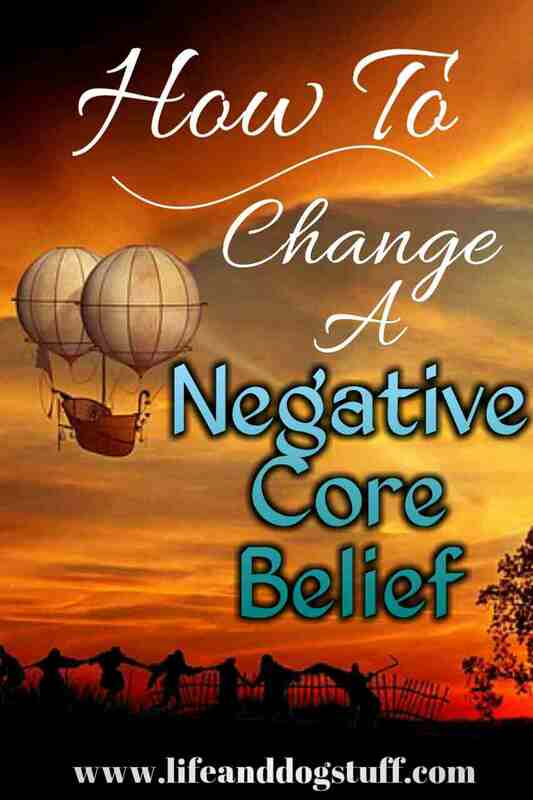 On my self-discovery journey, I researched solutions on how to change a negative core belief or thoughts. I believed all of those things about myself. Some negative beliefs I was completely unaware of. Some were in my face reminding me every single day. Repeated negative thoughts looping in my head like a stuck tape recorder. Frustrating! 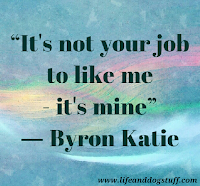 Until one day I came across Byron Katie's The Work. This is such a sweet dear lady and just listening to her talk, makes me feel that I'm in the presence of someone that has done a lot of healing and good in this world. I admire her so much. Basically, she created a worksheet called the judge-your-neighbor worksheet. You fill it out and it forces you to question your thoughts and see how your mind is lying to you. Awesome yes! My readers should all know my writing style by now. I write about personal experiences. That's why I'll share how The Work helped me. A fellow blogger called me transparent once. I feel I need to be so that others can relate. How else am I going to inspire change in others? You can't force someone to change, right? People change by seeing how others changed. When I was at varsity, I met this guy. He really annoyed me and I had no idea why. We became friends for some reason and then a few years later, he became my very first boyfriend. Yes, I was a late bloomer. I fell hard and was so happy that I've finally found someone that wanted to be with me (red flag). Unfortunately, he ended it soon afterward. His exact words "You're too closed up". I had no idea what that meant and didn't bother to ask (mistake). A year went by and I met someone else and my ex became a very close friend for some reason. Yep! I kept him around (whyyyyyy?). Another year went by and guess what I did? He wanted me back and I said goodbye to a really nice guy that actually made time for me to go back to someone that called me 'closed up'. Three months later, he dumped me again. This time he said, "It's not working out". Geez! So he broke my heart not once, but twice. I was plagued by uncertainty. Why didn't he love me? What's wrong with me? Worst of all I believed that no one will ever love me because I will never be good enough. This one guy made me think that about myself. I believed that for years. Time wasted. That experience caused a lot of pain and self-doubt in my life. I thought maybe I should try Byron's way to resolve it. I then filled out a worksheet and questioned the thought, "He doesn't love me because I'm not good enough". What the worksheet requires is for you to ask if it's true and then turn the question around on yourself. I filled out the worksheet and wrote, "I will never love me because I'm not good enough". I didn't love myself that's why I believed that. While continuing to answer the questions I made another discovery. I thought that being with him made me happy. The questions made me see that I was actually miserable the entire time. He was not really the type of guy I wanted to be with. He was always unavailable and never made time for me. Our interactions were awkward and uncomfortable. I resented him for not being there for me, became insanely jealous and started to hate his friends for always being there. Crazy times! I never gave him me. That part of yourself where you share your hopes and dreams. Your fears and everything that makes you, you. He never saw me. It finally made sense what he said the two times he broke up with me. I was shocked at how I couldn't see it for years. He truly is an amazing decent guy, but he wasn't the one I wanted to share everything with. Last year I ran into him. Guess the universe was testing me. Glad to report that I felt nothing for him. I was so happy that I was finally free of that pain. He taught me a valuable lesson. That I have to love myself first before others can learn to love me. He was not responsible for the pain I felt all those years. He was just a guy that made me see the wounds I was carrying around. Of course, at that time I couldn't see what his presence in my life was trying to teach me. Plus the other guys that came after him were all reflecting the fact that I didn't love myself. After I cleared that up, it prompted me to work on my other issues. I had to do a few of these worksheets to uncover the truth. I unveiled lots and lots of lies I was telling myself throughout my life. That's when I realized that my mind can't be trusted and I have the power to control and change my thoughts. For the first time, I felt powerful against my depression and no longer hopeless. A few months after that, my depression went away. The Work was a gateway. It uncovered truths and led me down a different path. A path where I could finally heal. 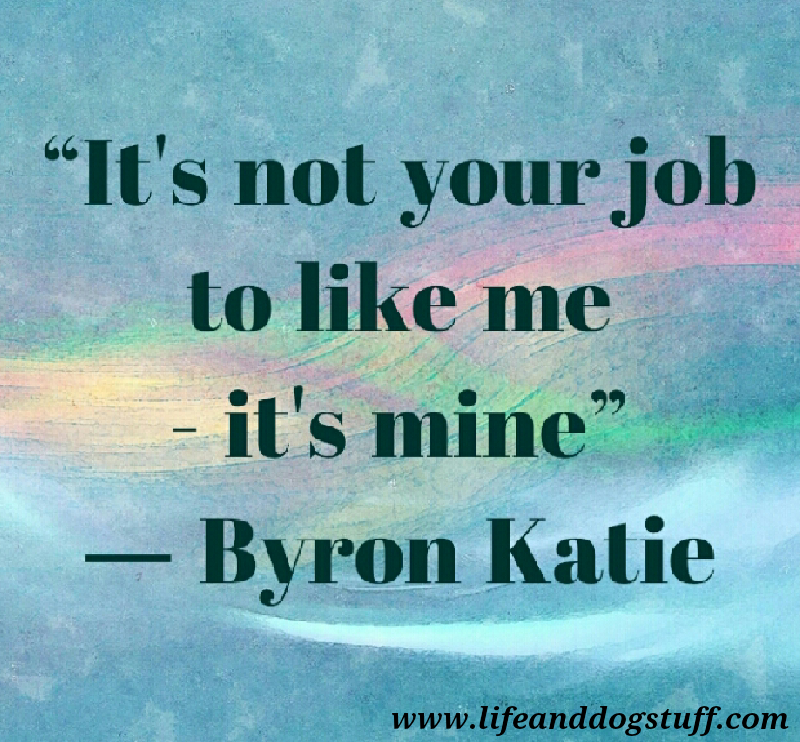 Byron Katie always says that our problems are universal. Things like heartbreak, loss, feelings of loneliness etc. It's true. If you follow her Youtube channel where she helps people work through their worksheets, there's a lot of moments where you can relate to a similar situation in your own life. Core beliefs are thoughts that you thought about over and over again until it runs on autopilot in your subconscious mind. It's fine most of the time when it affects your life in a positive way. Unfortunately, there are a lot of negative core beliefs that are ruling our lives and keeping us from reaching our goals and finding happiness. Negative core beliefs can be compared to a table and the table's legs are everything in your life that contributed to that belief still standing firm. Your job is to break the legs of the table. Make it invalid. 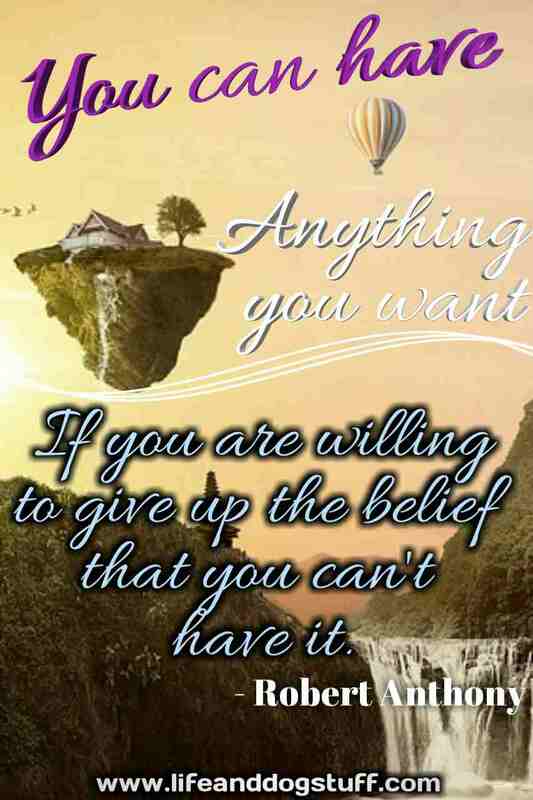 Finding core beliefs is essential in order to start the healing process. A lot of us are clueless about what's hiding in our subconscious mind. Teal Swan, a spiritual teacher has a process that uncovers the layers under negative thoughts and reveals the core. She says you can ask yourself two questions whenever you get upset in your daily life. If that is true, why is that so bad? What does that mean to me or mean about me? You alternate between these two questions depending on what your answer is until you get to the core belief. My core belief was "I'm all alone". I knew I was feeling lonely, but it was odd to find out that the feeling surfaced in other ways like getting upset over a messy house. When I worked on the I'm alone belief, it changed to "I'm not good enough". Then to "They are all going to leave me someday". Now it has changed to "I want to feel appreciated". I need to work on that one now. I have to see or gather proof that I'm appreciated. Especially at home, my opinion counts very little sometimes and if I do something a different way, it's seen as wrong even though it makes more sense to me. I guess because they see me as young and inexperienced. All of this is like an onion. Layers! I peel away one and another one surfaces. Hey, at least I managed to work through the other ones. The loneliness one was the worst feeling ever. Next, you list reasons to support or debunk your belief. Write these down. If you have to put sticky notes everywhere to remind yourself of this, do it. Teach your mind to believe something different. Is it true? List reasons to make it invalid. I try my best to be a better person. Next, make a list of reasons why you think you're not good enough. Just for fun! That one idiot told me that one time I sucked (just example). My family was never happy with my grades even though I tried my best. That stupid boy left me because he thought I was not good enough for him. When you're done with your list of reasons why you think you're not good enough, fill out one of Byron Katie's changing beliefs worksheet for each and see the truth. This is obviously just one example and you will have your own that you need to break down and work through. So if you ever find yourself upset about something, then that's the perfect opportunity to do some self-reflection. You can distract yourself like you always do or scream at the top of your lungs, but then you'll miss out on a chance to see why something is really bothering you and you can start to patch up a wound. Remember these things will bother you until you deal with them. The people in your life will be the best reflection of your internal issues. They are good at pressing our buttons. Especially the ones closest to us. There you go! Hope this helps. I'll leave some links to Teal Swan and Byron Katie sites below. I'm open to all ideas that have the potential to help me become a better version of myself. Anything that will help me make more sense of this life. I'm someone that test things and if they work, I apply them to my life. My spiritual journey is all about searching for answers. That means I'm not limited by my religion. I was never made to fit in a box. My whole life is proof of that. I'm all for practical solutions to problems. If it does not work, I'll move on to test some other theory. Time to peel the onions. Yes, onions are the worst and make you cry, but they are necessary for adding flavor to dishes. The same thing applies to your life. You have to face your demons in order to overcome them. No more ignoring or avoiding them. I accumulated a lot of demons and the more I deal with them, the easier it gets. I have a few still hiding. I'll get to them sooner or later. No one is coming to save you. Be your own hero. Slay those demons. I believe you can. - Check out Byron's resources page and get your free judge-your-neighbor worksheet. Guide videos are free to watch too. She has a YouTube channel with hundreds of videos helping people to see the lies they tell themselves. Very interesting. No excuses. 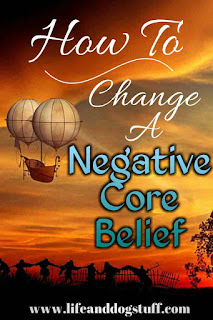 - This is a link to an article she wrote on how to identify a core belief and also how to change a negative belief. She explains it better than me. Her YouTube channel links are on her website too. Check it out! Pic credit: Pixabay pics Lorenza edited. Wow, that was some story! But glad to hear you came out of those relationships with a good attitude. I agree, we have to love ourselves first before we share our love with others. And if they don't like us, then move on! That was a very open and honest. Was it hard to write, and hit the publish button? Opening yourself up, leaving it all out there is a brace act, my heroic friend. I will raise my coffee cup and toast your mental health. Wow! These are really worth a read Renza. Personal experiences are better than someone write it just for the sake of it. I hope you have truly worked out on all the issues. Life throws plenty more, but once you have learned the art of dealing everything can be handled. Good luck to you my friend. Thanks Saroja. It's just like you said. Life will throw more at me, but I dealt with all the bad stuff that I was carrying around. I'm not sure what will happen next, but I'm hoping more good than bad. I'm focussing on the positive now. There's still stuff to work through, there will always be stuff, but I feel better about handling it now. Not so helpless like before. This was a great read Lorenza. You've just added to my reading list. Thank you for sharing such a personal journey. This post post landed in my lap right when things seem to be most fluid in my life and when I needed it. I am not sure how I 'found' you but I am glad that I did. That table analogy really hit home.